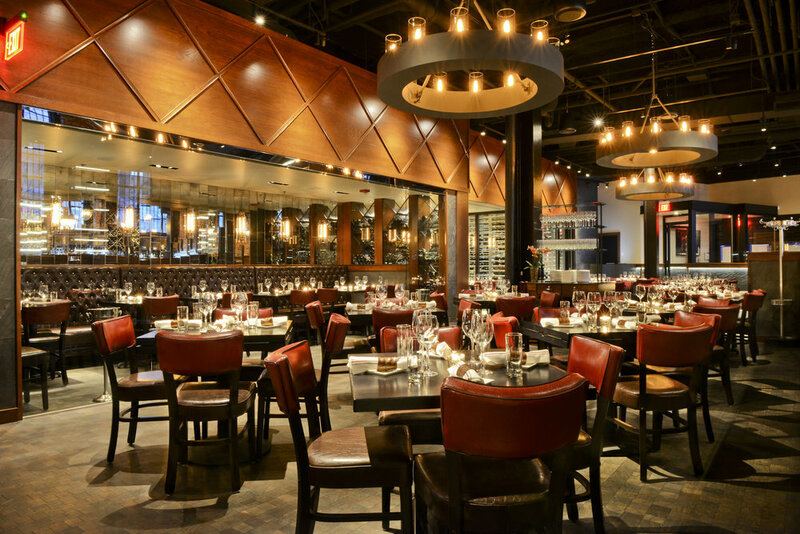 Located in the heart of Boston’s historic South End, Boston Chops is an urban steak bistro—a casual yet refined twist on the elegance for which steakhouses are well-known. Under soaring 20-foot ceilings, guests may enjoy a selection from the raw bar or our menu of rarely celebrated delicacies. For more intimate gatherings, our dining room also offers semi-private banquette seating for parties of up to 24. Guests can also simply enjoy our modern interpretations of classic cocktails or sample a bottle from our towering 2,000-bottle glass wine room at the 30-seat reclaimed wood bar.